Hi, it’s Tamra here for day services at Branches. 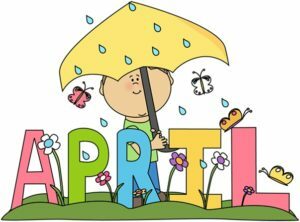 April came and left, but the moments closely stuck with us. 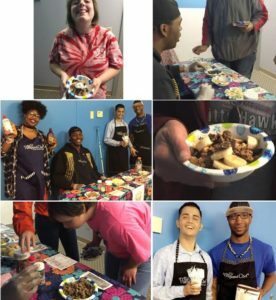 Check out the memories we made last month! Around Here We : Water our Seeds! They say April showers bring May flowers, so we’re putting it to the test. Around here, we planted African Daisies and Petunias outside our building. We’re hoping the showers help our seeds sprout in time for summer! 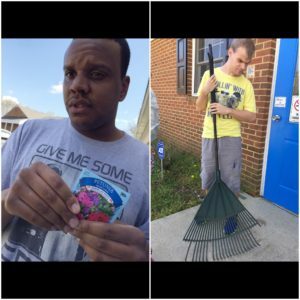 Check out our gardening skills! 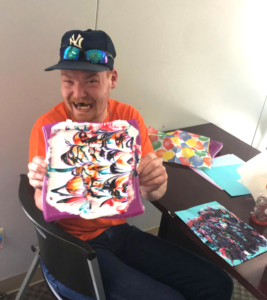 Around Here We : All Scream for Ice Cream! On stormy days, don’t let the weather get you down. Stay dry and get something sweet. We grabbed some vanilla, chocolate, and strawberry ice cream. After chopping, and crushing all the toppings, we chose our flavors, picked our garnishes, and loaded em ‘ in our bowls. As you can see, we smiled with every scoop! April Showers weren’t so bad thanks to the BOL ice cream bar. Around here We : Keep Calm, and Bowl on! 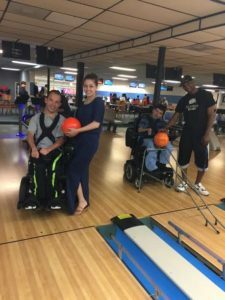 Holiday Bowl in Chester is one of our favorite places to get our roll on. Nothing sounds better than a strike, and with the help of several ramps this activity is super accessible for us all. Snack bars are also open if you’re feeling hungry. Big thanks to our friends at Holiday Bowling Alley for making our experiences exceptional every time we come through. 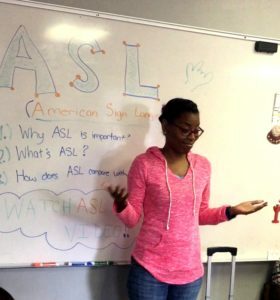 We hosted American Sign Language Week and can’t express how much we learned! Our friend Shae, who is hard of hearing, explained how ASL helps her to communicate with people every day. We believe that communication happens in many ways, and had a blast practicing our skills & learning new signs. At the end of the week created our very own “Why I Sign” video . Around Here We : Hole in One It! Iron Bridge Sports Park is an awesome place to hang on a sunny day, just don’t forget a pair of shades! 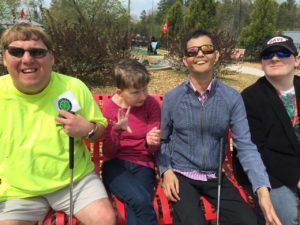 The golf courses outside holes are completely wheelchair accessible, making our visits incredible. The staff is super supportive in helping each of us ride go-carts, and participate in all the activities have to offer at the park. Inclusive places like these make the world a better place for all kinds of people. There’s nothing more relaxing and pampering than spa day! Around here, we shopped for some of our favorite spring polishes and relieved some stress with a manicure. 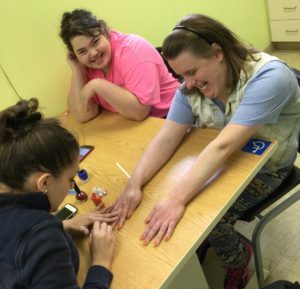 We are all about building relationships, and what better way to bond then over manis? Our girls couldn’t be more pleased with the experience, and pop of color! Thanks for reading! We are always open to trying new ideas, and doing new things so if you have any suggestions, give us a holler.